One third of Americans are “highly unlikely” to qualify for mortgages thanks to their low credit scores, according to a report from Zillow. The company, which based its findings on 25,000 loan quotes and purchase requests on Zillow Mortgage Marketplace during the first half of September, found that borrowers with credit scores below 620 were unlikely to receive a single quote, even if they offered to put 15 to 25 percent down. 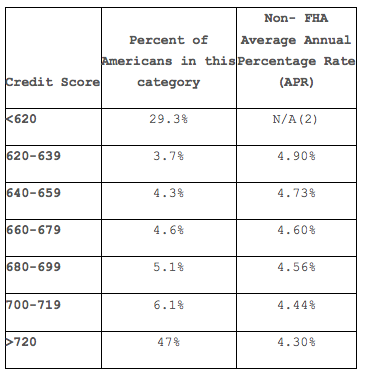 Almost one-third of Americans, or 29.3 percent, have a credit score this low, according to data from Fico, whose credit score range goes from 300-850.
Credit scores below 620 are also considered “subprime” in the mortgage world, and as we all know, subprime kinda came and went as the mortgage crisis rolled in. Conversely, the lowest mortgage rates went to borrowers with credit scores of 720 or above. During the first half of September, these borrowers received quotes with an average annual percentage rate (APR) of 4.30 percent for conventional 30-year fixed mortgages. Borrowers with mid-range credit scores, between 620 and 719, received APRs between 4.44 and 4.73 percent, with APRs rising as credit scores dropped. And those with credit scores below 620 received too few loan quotes to even calculate the average APR. For those with lower credit scores, each 20-point credit score increase pushed the APR down 0.12 percent, which for a $300,000 home, with 20 percent down, equates to $6,400 in savings over the life of a 30-year loan. 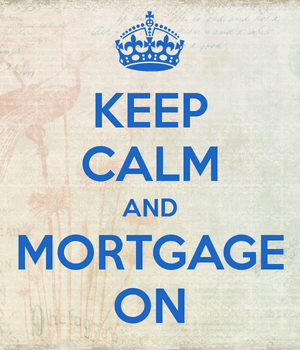 The takeaway: Stay on top of your credit score if you want to get a mortgage!